WATCH What Did the EPA Know About Lead Contaminated Water? The federal government's push to prevent lead from harming children's health has stalled, according to a top scientist at the Environmental Protection Agency who was recently placed on leave for what the agency called serious allegations. The scientist, Ruth Etzel, said the U.S. effort to stop children from being exposed to lead proposed after the Flint water crisis was "stonewalled" under the Trump administration. An EPA spokesman said Etzel's claims are not true and that the agency is moving forward on a national lead strategy. Further, the agency claims she was placed on leave to investigate allegations about her leadership of the Office of Children's Health. The dangers of lead came into urgent national focus after lead in water pipes in Flint, Michigan, led to a massive public health crisis. 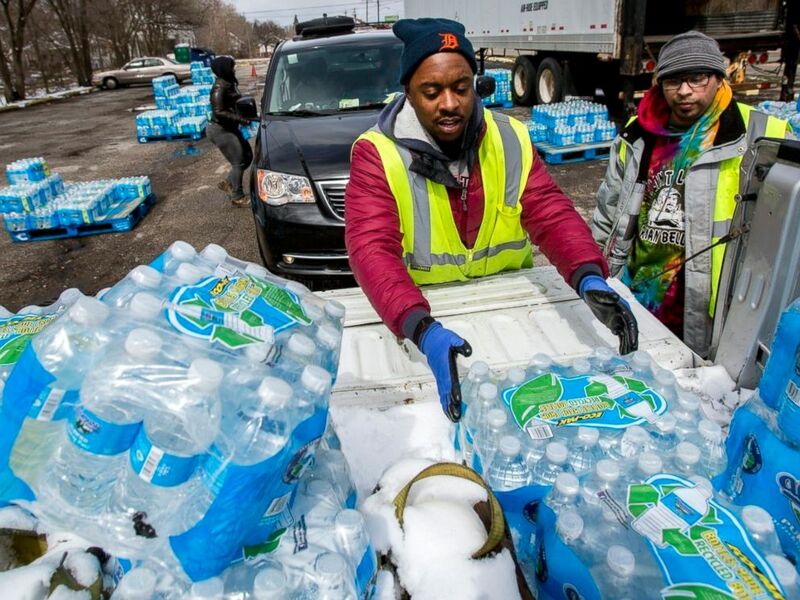 The city's tap water became contaminated in 2014 after officials switched from the Detroit system to the Flint River to save money, exposing residents to lead. This July, the EPA's inspector general called on the federal agency to strengthen its oversight of state drinking water systems nationally and respond more quickly to public health emergencies such as the Flint crisis. Etzel, one of the co-chairs of a federal lead task force, now says the federal government isn't moving fast enough. She said she wasn't allowed to brief then-EPA Administrator Scott Pruitt or acting Administrator Andrew Wheeler since the task force recommended actions that multiple agencies could take to limit children's exposure to lead, including measures to reduce lead in food and limit airborne exposure from jet fuel that contains lead. "I've always felt like if you want to talk the talk then you also have to walk the walk and what I'm not seeing now is any actions that would indicate EPA is walking the walk to reduce children's lead exposure," Etzel told ABC News. Etzel was the agency's senior pediatric expert until she was recently placed on administrative leave from her position as director of the Office of Children's Health three weeks ago. "My concerns continue to be the same that children need to breathe clean air and drink clean water and eat clean food. That's been a concern of the children's office from the beginning," she said adding that she hasn't been told why she was placed on leave. An EPA spokesman pushed back against Etzel's claims in a statement. "Dr. Etzel is currently on investigative leave because of serious reports made against her by staff regarding her ability to effectively lead the Office of Children’s Health. The kinds of allegations that have been raised regarding Dr. Etzel’s conduct are very concerning and prompted EPA to take action," EPA spokesman John Konkus said in an emailed statement sent after the story originally published. "Her attempt to use the press to distract from the allegations about her personal conduct is completely inappropriate. Any link that Dr. Etzel is attempting to draw between her personal situation and the mission of the Office of Children’s Health is an attempt at misdirection. The EPA is 100 percent committed to protecting children’s health and will do everything in its power to ensure that the Office has competent leadership." In a version of the statement sent earlier in the day, Konkus said Etzel was on leave because of "serious reports made against her" and that it was unfortunate she decided to go to the press to distract from the allegations. When ABC News read the earlier EPA statement over the phone to Etzel she called it "completely slanderous" and declined to speak any further. Etzel responded to EPA's allegations in a statement sent Tuesday, the day after the story originally published. She said she was given positive performance ratings the past three years and no problems were brought to her attention. "For the past 5 months, the EPA leadership appeared to be desperate to find something that I had done wrong. They tormented my travel coordinator and quizzed the person who handles our grants. Apparently, they could not find anything so EPA put me on paid leave for no reason. Now, EPA is slandering me in the press, because I am telling the public the truth," she said in the written statement. Konkus said EPA is still working with the Departments of Housing and Urban Development and Health and Human Services to update the report and that he didn't know if Wheeler had been briefed on the latest information on the recommendations. More than 120 environmental and health organizations, including the American Academy of Pediatrics, wrote to Wheeler asking for an explanation for why Etzel was placed on leave and a commitment that the agency will still make children's health issues a priority. "The current EPA leadership talks about children’s health, and it is literally that -- just talk," Olga Naidenko, science adviser for the Environmental Working Group said. "When it comes to action -- such as protecting children from exposure to lead, mercury and harmful pesticides — what we see is administration activities aimed to roll back children’s health protections, not strengthen them." Naidenko also serves on an EPA advisory committee on children's health issues. The EPA has put out multiple press releases reiterating its commitment to children's health in recent weeks, which coincides with children's health month. Wheeler also officially reaffirmed the agency's policy that infants and children should be considered especially vulnerable to harm from pollution and that any proposals should specifically evaluate the impact on children. Editor’s note: This story has been updated to reflect an additional statement from EPA scientist Ruth Etzel responding to the agency’s claims about why she was placed on leave.